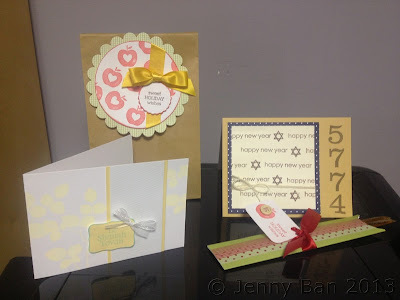 Jenny Ban Creates: Jewish New Year! The Jewish holidays are really early this Fall. 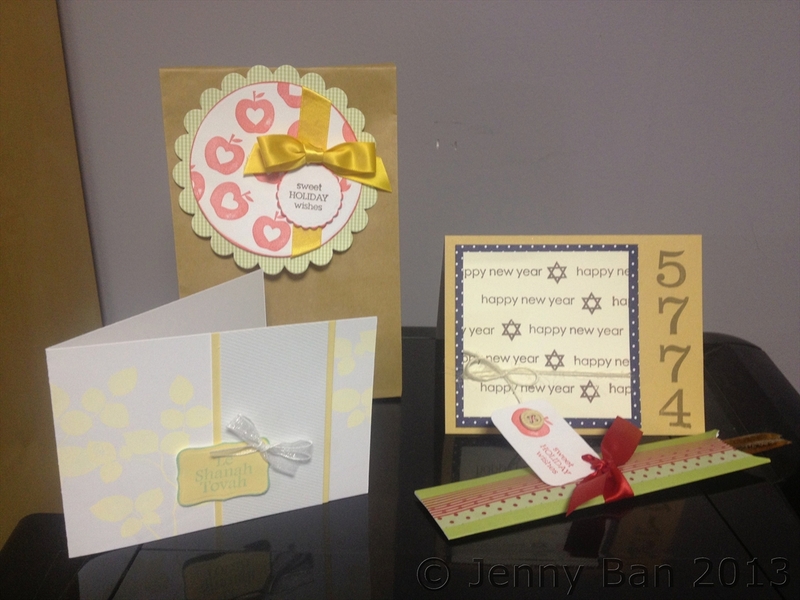 Rosh Hashana, the Jewish New Year, is in just a couple weeks. Here are some fun cards/projects I made. 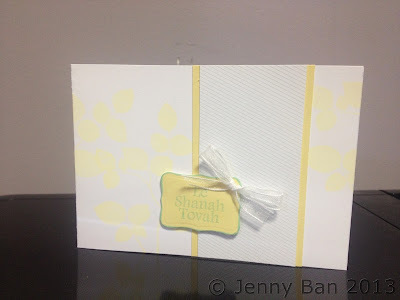 If you are in need of any Rosh Hashana cards or treats, it isn't too late--I will get them to you in time. Contact me to place an order! 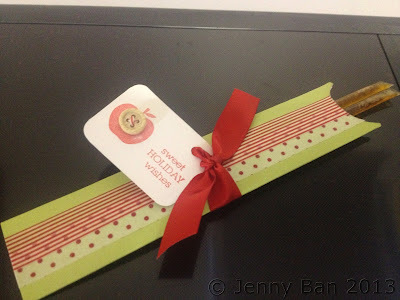 When my kids were in preschool, they always came home with a brown paper bag with an apple and a honey packet to share with the family. This large tag would have really dressed it up! These straws filled with honey are another sweet treat for Rosh Hashana. The style of the packaging was originally designed for pencils, but works great for this, too. 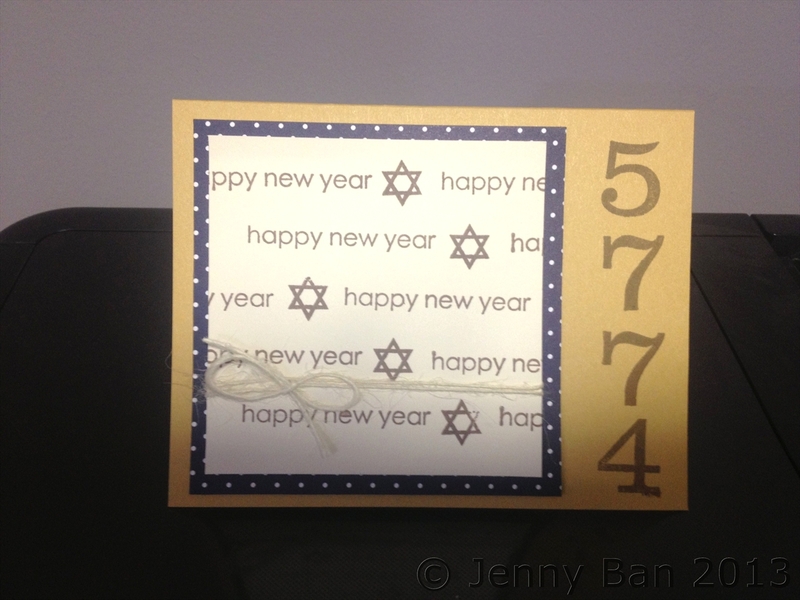 Sending Jewish New Year cards is traditional as well. I designed two very different styles of card, but I really love them both. 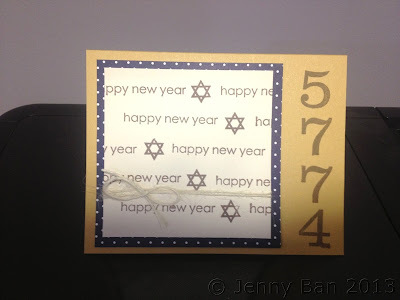 Jewish stamps are sometimes hard to find. I am very happy with the ones from Everyday's a Challah Day, sold on Etsy.